KATHMANDU, Aug. 27 : Tens of hundreds of people from LGBTI (Lesbian, Gay, Bisexual, Transgender and Intersexual) communities from across Nepal participated in the annual "Pride Parade" in the capital Kathmandu on Monday. 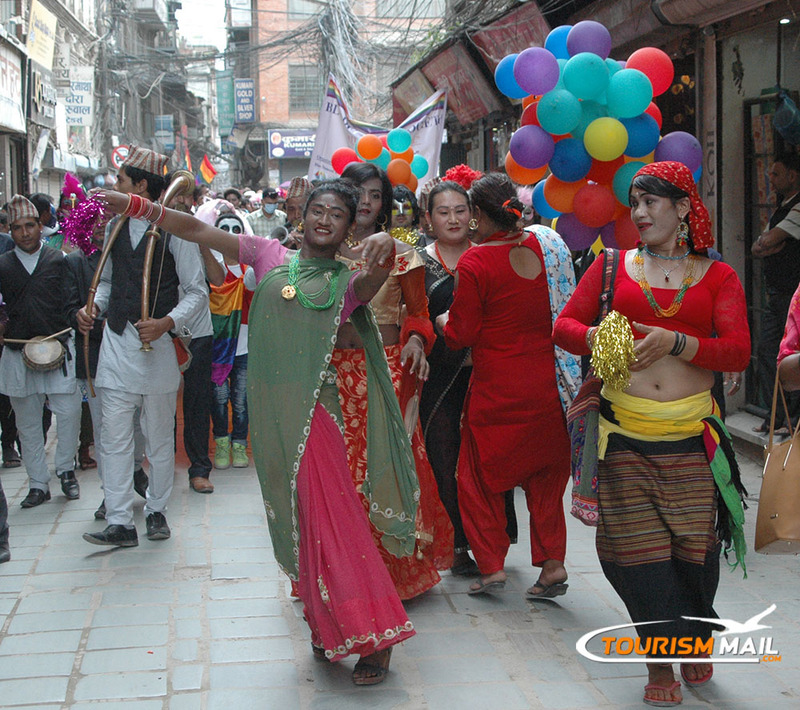 The pride fest was inaugurated by flying the colorful balloons and raising the Rainbow Flag in Thamel, the major tourist hub in the capital city. As every year, members of the marginalized community marched on the street with fanfare coinciding with Gaijatra, the festival of cows. The Pride Parade has been initiated by a non-governmental organization Blue Diamond Society to encourage the third gender people to recognize and celebrate their identity. 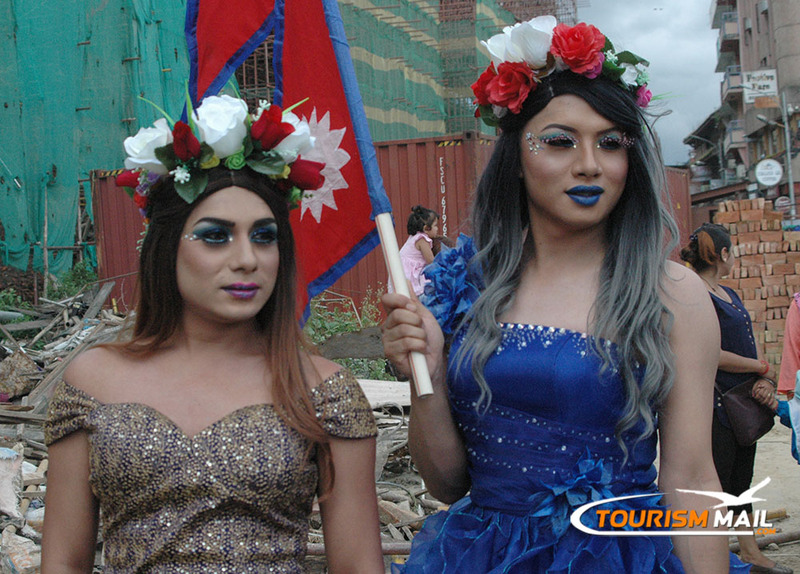 Sexual minorities from various districts of Nepal were seen marching in colorful and unique attires, fancy makeup and vibrant accessories. According to the organization, more than 2,000 people participated in the parade from at least 40 districts of Nepal. "This year, we are doing parade under the theme 'Alliances for Solidarity,' as we are in need of solidarity from the different quarters of society," Pinky Gurung, chairman of Blue Diamond Society, told Xinhua, adding that "equality for LGBTI is not just our issue, but all the government bodies, stakeholders and organizations should come up together to address this issue." Purnima Shrestha, an LGBTI activist from Bara district, said, "We are never accepted in any other festivals as compared to men and women. This is the only festival where we gather and celebrate our sexual orientations." Members from the community from different districts shared that the perception of Nepali society towards them has been gradually changing in the recent times. "People used to tease us in streets with negative names and connotations. But now, they call us as third gender or with our own names. It is a positive move," said Sapana Gupta, a transgender from Kapilvastu district. Nepal is regarded as one of the most progressive countries in Asia to recognize LGBTI rights as the country's constitution prohibits discrimination against sexual minorities and has special legal provisions for their protection, empowerment and advancement. The Supreme Court had directed the Nepal government authorities in 2007 to amend laws to end all the discrimination against LGBTI citizens. As per this, the government has been issuing citizenship and passport for third genders under "Other" category.